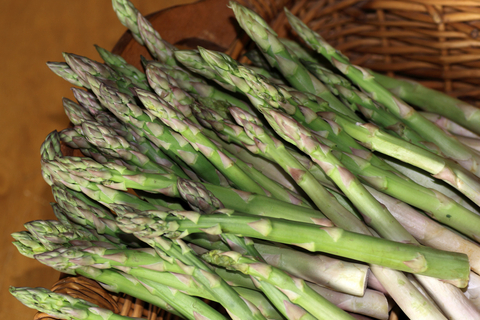 You can start to cut asparagus from an established bed – the second, or even better the third, year after planting. Crops in season include asparagus, broccoli, cabbage, lettuce, spring onions, mustard and cress, radish, rhubarb, seakale, spinach. Under glass: French beans, carrots, cucumbers, lettuce, mustard and cress, potatoes, radish.